Surely you remember those back-to-school necessities: pencils, paper, three-ring binders. Now comes a new, decidedly not analog required tool for certain students. 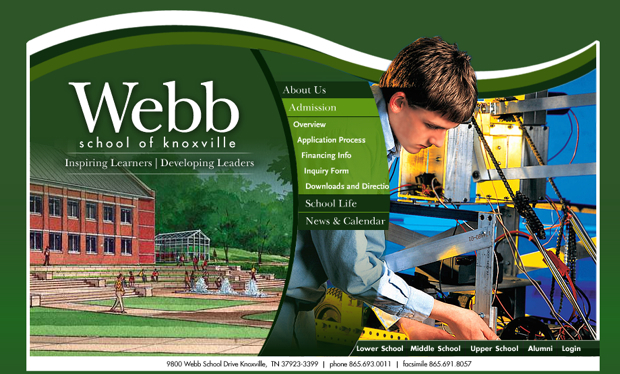 In the fall, students at the appropriately named Webb School, a private school in Knoxville, Tenn., will be hopping from Staples to the Apple Store. That’s because the school has decided to make it a requirement–a requirement–for each of its 4th-12th graders to have an iPad next year. “A student who doesn’t already own one can lease one,” KSLA News of Shreveport, La., informs us. The school’s technology director explained the scheme: a three-year lease at about $200 a year, paid in monthly installments. Not all tech is welcome at Webb, however: School officials say Facebook and Twitter will be blocked on campus.